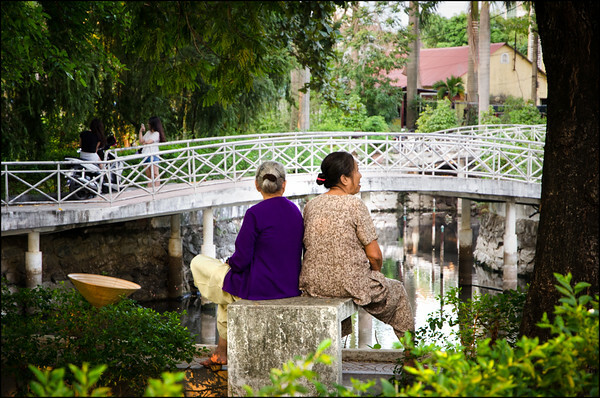 Hue is hugely popular with travellers, and for good reason. It’s packed full of history with plenty of things to do and see, and the food is some of the best we tried in Vietnam. If you’ve only got one day in Hue, then you’ve got to make the most of your time – and this one day itinerary is the perfect place to start! Our time in Hue was short but sweet, and for us one day in Hue (a very full day!) was enough. 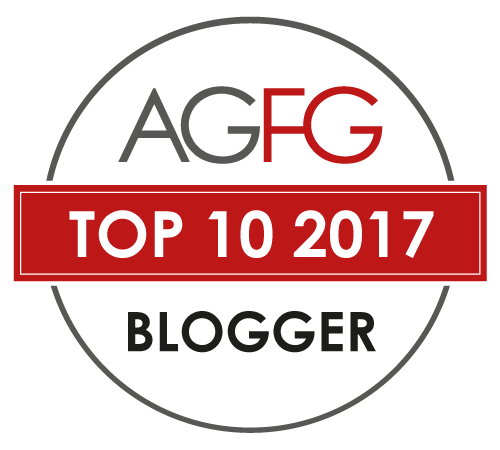 In fact, at one stage we even contemplated whether we should have included it on our Vietnam itinerary at all. This isn’t to say that Hue has nothing of interest for the independent traveller. Far from it! However once you look beyond the food, unless you’re a mad keen tomb raider or history buff you may find yourself at a loose end. 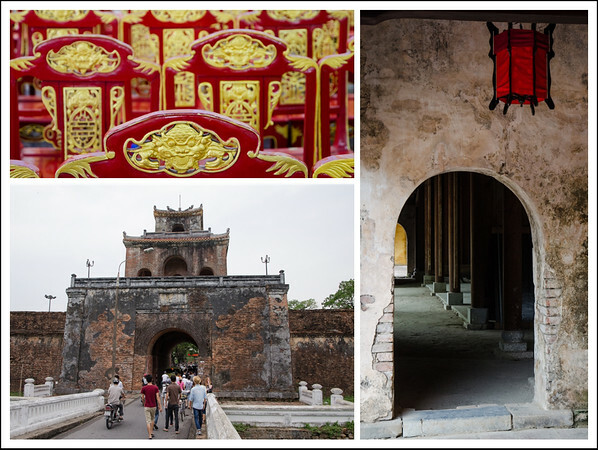 Hue is a small city with a very rich history. In fact, from the early 1800s all the way through to the second world war it was Vietnam’s capital city. I bet you didn’t know that! The Vietnam War put an end to those aspirations, as the border between north and south was only a short drive to the north of Hue, placing it fairly and squarely in the firing line. 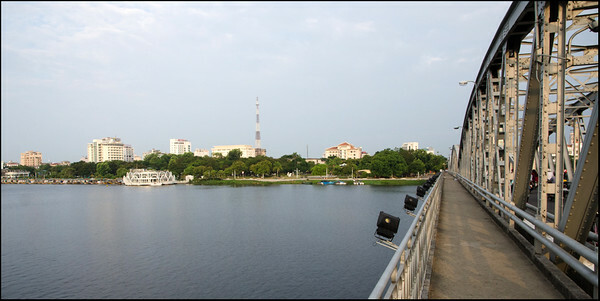 The Perfume River is the lifeblood of the city, and on either bank lie numerous heritage sites. Some (such as the Imperial City) are conveniently central to Hue, with others located further away. The food in Hue is renowned around the country for its refinement, a legacy of its imperial history, and when you eventually tire of traipsing around tombs and temples there will always be a new ‘quan‘ at which to pull up a miniature plastic stool, stretch the legs and try some new flavour combinations! Keep in mind that this itinerary could be rearranged in any number of ways to suit your style, but chances are you’re going to want to put aside a half day for the Citadel and city centre, and at least a half day for anything outside Hue. 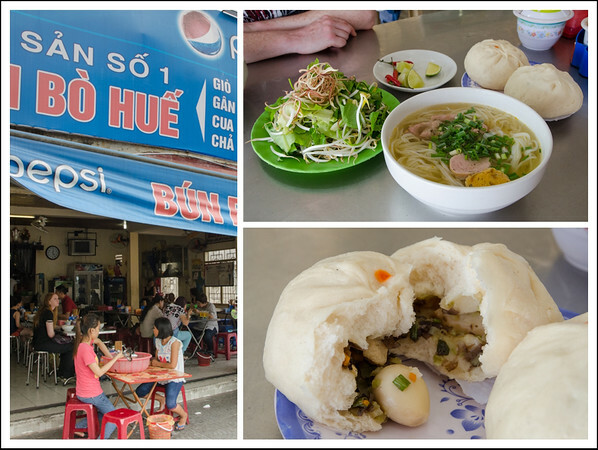 Hue is all about the food, and given the huge number of options in town it’s important to know where to eat in Hue. We recommend starting your day with one of Hue’s unique specialties, com hen (cơm hến)! Com hen translates as ‘rice with clams’, but it’s so much more than that. Interestingly, this is a dish eaten cold, which can be a welcome relief after surviving for weeks on bowls of steaming hot pho! Other ingredients include bean sprouts, peanuts, shallots, thinly sliced fruit (perhaps apple or star fruit) and plenty of herbs. If that wasn’t enough, they also scatter a handful of incredibly moreish pieces of crispy fried pork crackle across the dish! You then pour the hot and spicy clam broth to the bowl, soaking the rice at the bottom, mix it up and consume with gusto. 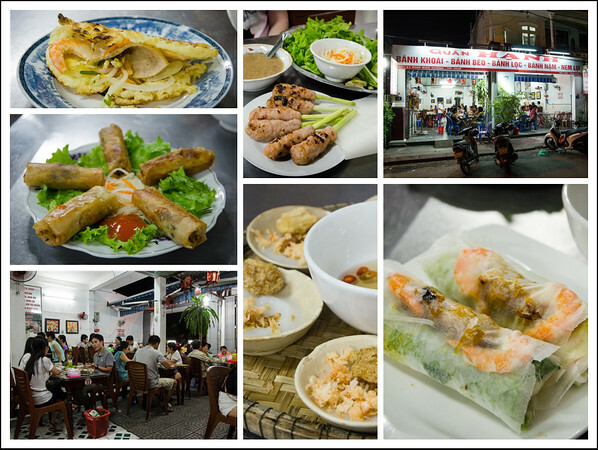 This was one of our favourite meals throughout Vietnam, and we’re sure you’ll love it as well. 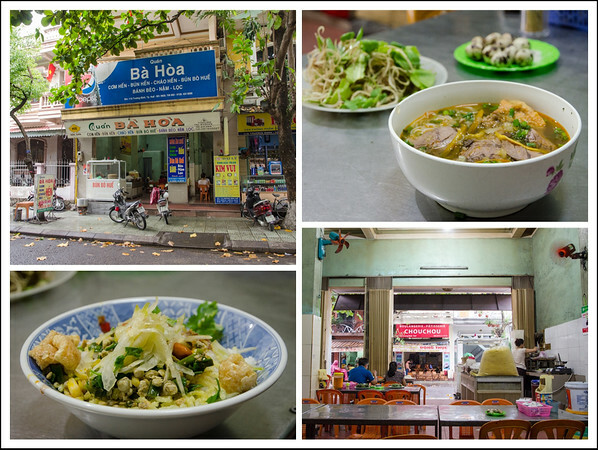 8:30am: Bún Bò Bà Hòa is a great eatery that is central to Hue (11A Truong Dinh), making it the perfect place to start the day! They also do a great bún bò Huế which we describe below in more detail. 9:00: With some com hen pep in your step, make your way to the Perfume River waterfront and walk across the broad Cau Phu Xuan bridge to the other side of the river. It’s so big that you can’t miss the Imperial City – just aim for the bright red Vietnamese flag the size of a small house! Entry will will cost you around VND150,000 and opening hours are between 7:00am and 5:30pm. There are two points of entry; take the left hand one as this is for non-locals (at a higher price of course). If you try to enter on the right hand side you’ll get turned back. 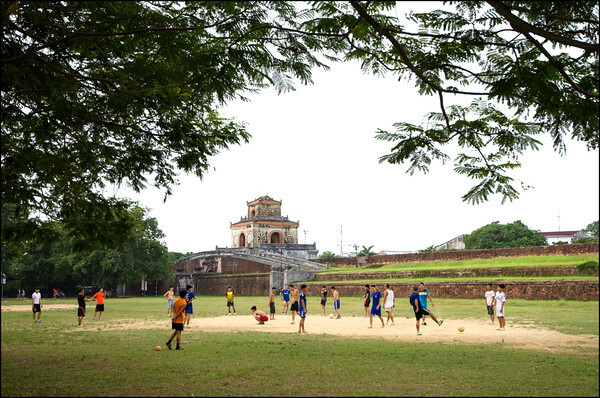 It would be safe to say that every single person that visits Hue will visit the Imperial City. Should you? I guess so. Some aspects were really interesting, particularly where we learnt more about the relatively young history of the Imperial City and the ultimately unsuccessful attempts by the royal family to adapt to the changing times, yet this was offset by the commercialism strewn throughout the historic site and general lack of upkeep. Allow at least a couple of hours, but if this is your ‘thing’ then you might want a full half day. 11:30am: Leaving the Imperial City, make your way back towards the waterfront, taking the main road towards the east (your left). You’ll eventually return to the other side of the river by the Truong Tien bridge, but before that it’s well worth spending a half hour or more exploring the Cho Dong markets. If you’re feeling peckish there are plenty of food options in the area. 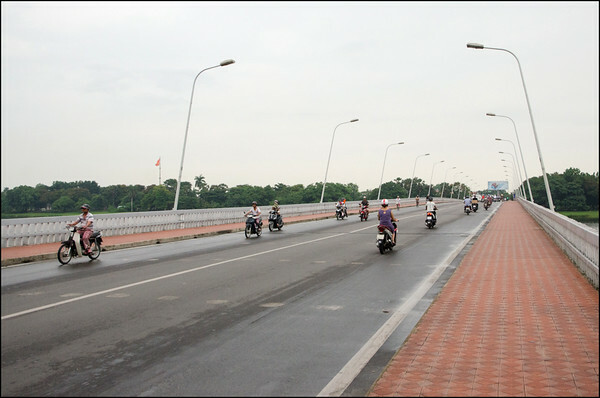 12:00pm: Take the Truong Tien bridge back to the centre of Hue. If you’ve got time, explore the numerous cafes, and shops spread along the Perfume River waterfront. It’s a great place to take the edge of the heat. By now you’re probably feeling a little peckish? Why not try Hue’s most famous dish, bun bo Hue (bún bò Huế)?! Bun=rice noodles, bo=beef and Hue is where this dish was born. A simple description, yet a proper bowl of authentic bun bo Hue is a complex and delicious meal. The broth is derived from beef bones, herbs and chilli oil (yes, it’s going to be on the spicy side! ), while throughout the broth and onto the vermicelli base is a range of ingredients such as sliced beef shank, pork knuckle and even cubes of congealed pigs blood. Onions, coriander, bean sprouts and a host of other herbs are also added, providing not only additional flavour but a textural foil as well. As you can see from the photo below, we even had the option to include some tiny boiled quail eggs! We found that the style of bun bu Hue varied considerably from shop to shop (with none seeming to offer pigs blood, but perhaps that either got lost in translation or is simply a response to previous experiences with western palates?!) , so do persist if you come across one that isn’t quite to your liking. 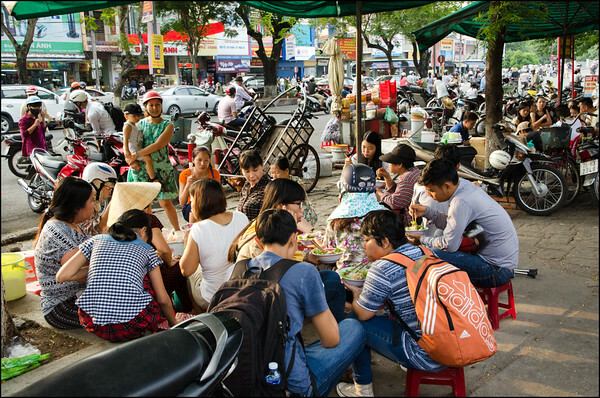 There are a number of good bun bo Hue restaurants along Ly Thuong Kiet, with two in particular getting consistently good reviews at No. 17 and No. 19. We chose No. 17 and weren’t disappointed. The bun bo Hue was delicious and the steamed bun with surprise boiled quail egg also added a nice touch. Located about 7km south of Hue (NOT to the west/south-west as so many websites seem to advertise!! 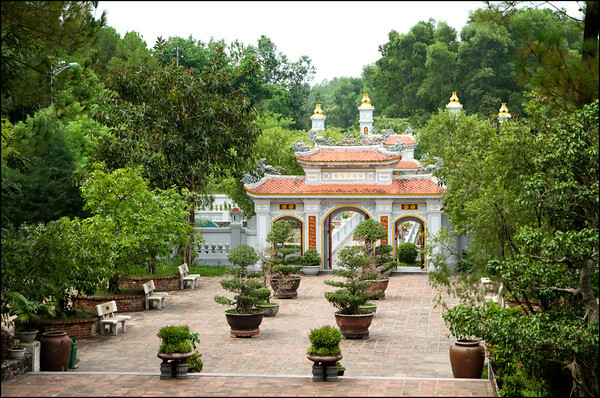 ), the Huyen Tran Princess Temple is a sprawling collection of gardens, temples, sculptures and walking trails that showcase the best aspects of Ngu Phong Mountain. I swear that the day we visited we encountered no more than a dozen other visitors to this site, which is almost unheard of in Vietnam these days for a site as beautiful as this one. With it’s recent rise in popularity I’m sure this will change, so get in quick! Entry will only cost you VND30,000 which again is dirt cheap compared to the many other more popular tombs and temples in the area which can often charge up to VND100,000. 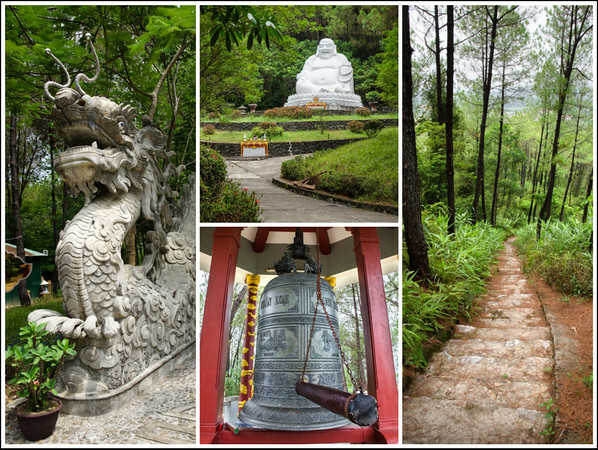 If you take the trail to the top of the mountain you’ll meet the resident monk who will encourage you to ring the massive 1.6 tonne bell, promoting world peace. It’s loud! 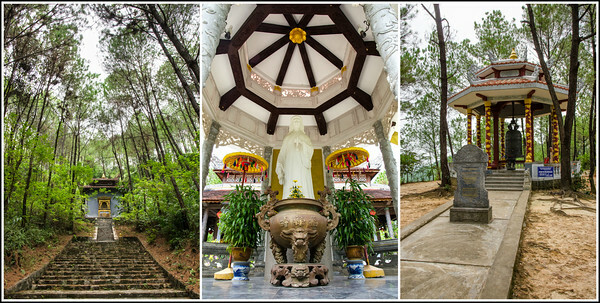 Of our whole holiday, Huyen Tran Princess Temple was one of the most unexpected, yet rewarding destinations that we unearthed. The taxi cost us around VND240,000 return, but the brilliant thing was that the taxi driver offered to wait at the main car park for no additional cost! 5:00pm: After freshening up at your hotel of choice (we stayed at Eldora Hotel, a magnificently decadent hotel close to the centre of town), it’s time to go all out and taste some more delicacies specific to Hue. While you could spend days visiting numerous cafes and restaurants trying these delicacies individually, there’s a great restaurant in Hue called Quan Hanh that puts on a degustation style dinner for a very reasonable price, where you can try five different dishes at only VND110,000pp. Nem rán – Ground pork with vegetables, wrapped in rice paper and deep fried. For us the Bánh khoai was the pick of the dishes, but honestly, they’re all top notch. Great atmosphere as well! Quan Hanh is popular amongst not only the well-to-do locals, but the international community as well. Chances are you may need to wait for a table, but don’t let this stop you as the turnover is quick enough that you’ll never be waiting long! Our final thoughts on Hue? 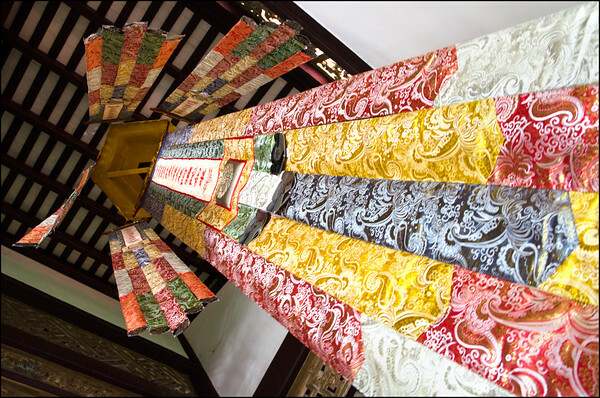 Hue is a city with one foot firmly embedded in its history, both culturally and gastronomically. There were numerous dishes that we tried in Hue that you literally can not find anywhere else in Vietnam, and for that reason alone it’s worth putting aside at least a day in this interesting little city. On the other hand, for those that love their ruins, the region around Hue offers dozens of options that could keep you busy for days! If you’re unsure where to stay in Hue, we thoroughly recommend the Eldora Hotel. The rooms are so opulent and yet they hardly cost us anything at all! It’s awesome value and really close to the waterfront as well. 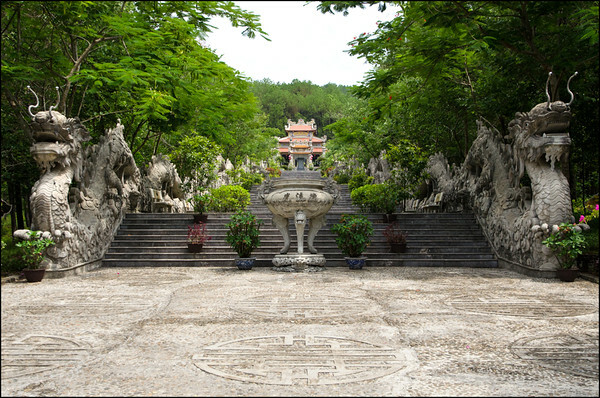 Thien Mu Pagoda – If you’re going to visit a pagoda then this is probably your best bet, with its iconic tower situated in a gorgeous location by the Perfume River. As always, if you’ve got any questions please feel post a comment below or get in touch on our Facebook page! You have no idea how happy this makes us Clare 🙂 It’s so hard to find places like this any more – so if we can help others have a similar experience then that means the world! I went to the Princess Temple per your recommendation last week and had a wonderful time. My wife and I practically had it to ourselves. Keep up your good work. Hi there Stephen, thanks for the feedback. Actually, while I’ve got you…are you able to confirm if the entry fee is still VND30,000? Thanks for great suggestions and tips! 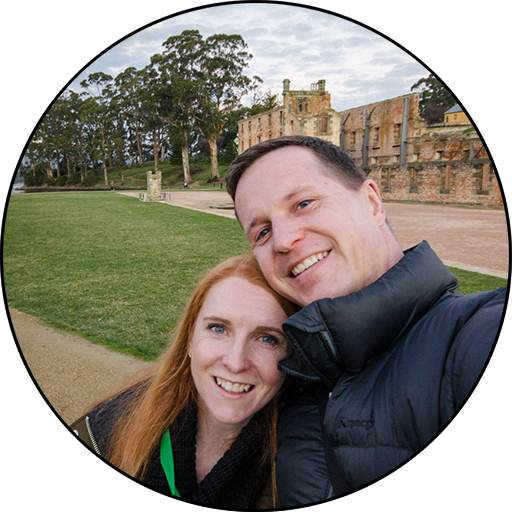 We had an amazing breakfast at Bún Bò Bà Hòa (the best) and then visited the Princess Temple – still 30 000 vnd to enter (March 2019) and still practically empty (!). And beautiful – definitely worth a visit. Thanks!